Amanda and Alain’s wedding was full of the most impressive details. After meeting Amanda and Alain and capturing their engagement session, we knew we were in for a very elegant display of what this couple “is”. The actual day started out with the sun peaking around every building. 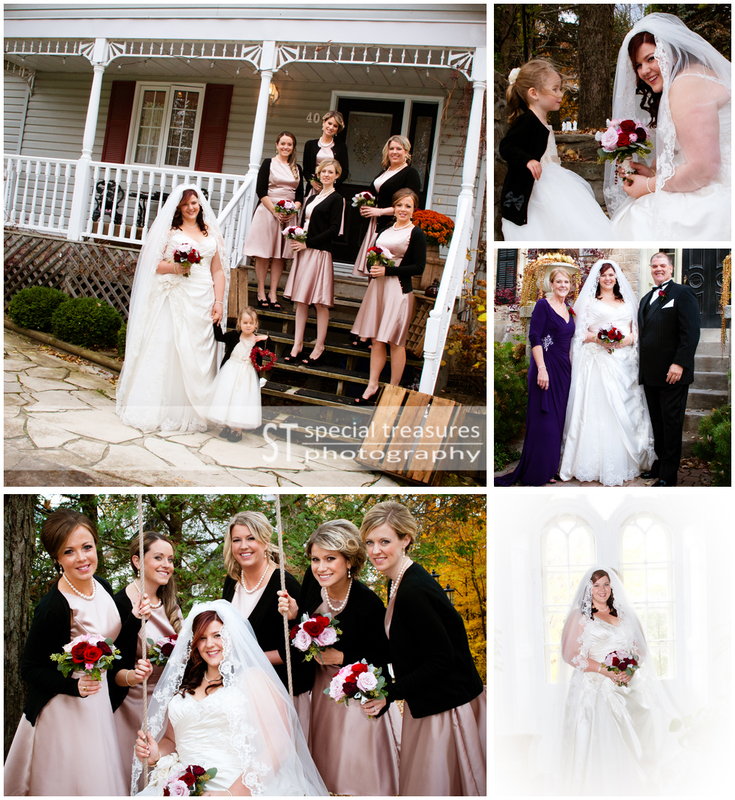 It provided such a natural haze that complimented the day perfectly and we were able to use the light to our advantage. The girl’s got ready at Strathmere, a breathtaking location. Strathmere also was the location of the reception that would later take place. My favorite thing from the morning was watching all of the details unfold in the venue, and watching the brides reaction to that. I also noticed all of the little touches the Bride had put into her pre-wedding time. All of the girls wore robes that were embroidered with their name and place in the wedding, The mother of the bride and the bride had custom-made hangers for their dresses, even the water bottles had custom labels. It made me realize how much planning truly unfolded before this day! 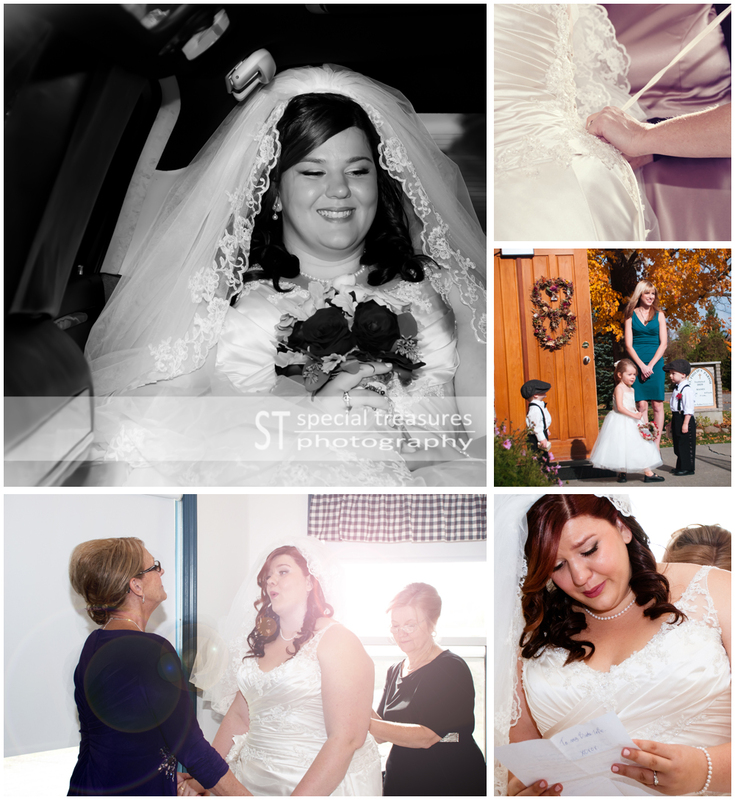 Amanda gave such personal gifts to her girls and received a scrapbook from her wedding party. I just kept thinking…” these people care so much about one another”. 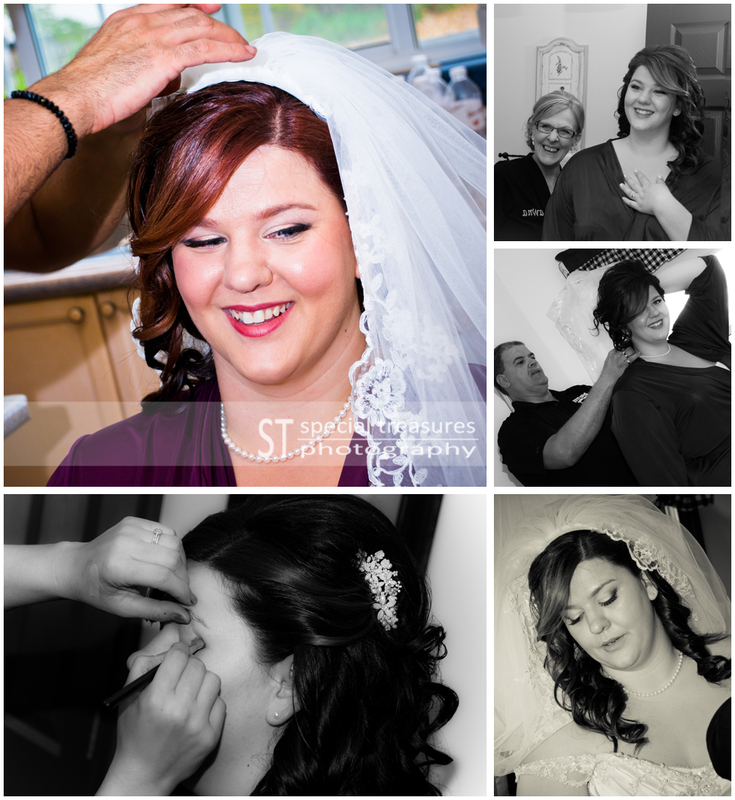 When the process of “getting ready” really got going, the music came on and even that was perfect for the day of Amanda’s wedding. I loved watching her sing and capturing the moment’s when she realized she was about to marry the love of her life. All of the girl’s looked beautiful in the end, and Amanda was so stunning. Amanda’s mom and dad were just beaming! I could see by the look on her Dad’s face that he adored his little girl and was so encompassed in her beauty. When she gave him his gift, he looked so proud and so very happy! It was a morning to remember! As I continued on with the girls, Lisa headed over to accompany the gentlemen after spending some time with us at Strathmere. The guys got ready at the groom’s parent’s home where he grew up. They shared a few beers and lots of laughs. You could see the bonds of friendship between these gentlemen. As a personal gift, the groomsmen were each presented with a fish-hook for their lapels. And the mother and Father of the groom were also presented with a gift. Lisa notes that the ring bearers were just adorable in their suspenders and newspaper boy caps. Unfortunately, upon getting ready to leave, the father of the groom was attacked by the family cat. He quickly cleaned up and off they headed for the church. It is amazing that he was so in the moment of his son’s wedding that he just brushed his pain aside. Both of these families were so loving. The girls and the father-of-the-bride headed on in the limo, while Alain and his groomsmen awaited the brides arrival at the church. The ladies sang “going to the chapel” and emotions ran high. I was accompanying the women in the limo and as we pulled up I felt all of the emotion of the day creep up on me. I think it was seeing the two ring bearer’s and flower girl playing outside. It was the first time I saw the little boys in their outfits, with their little hats! I immediately started snapping through the limo window. And then it was time…. one of my favorite moments has always been capturing the bride getting out of the limo. For Amanda, just by working with her, I knew it would be ideal for the sun to shine very brightly. Guess what …it did and the pictures are memories of that! The church was small and rustic, the oldest church in the Catholic diocese. It was the right fit for this couple to be married. The curtains opened and As I captured the bride and her father walk up the aisle in tears, Lisa was focused on Alain and his emotional reaction to his soon-to-be wife. What a beautiful moment. The sun shone so brightly through the windows of the church. At times it gave Amanda an angelic hue. She wore a cathedral vail and it was almost completely illuminated. Blessed was the day! The family and friends gathered were mesmerized by this couple’s exchange and by speaking with a few of them after, it was one of the first wedding’s many of them had been to where the vows were both ‘heard’ and ‘viewed’ so clearly. My heart chuckled because I know it was a fine tuned detail on where the Bride and Groom stood. Another perfect touch. It was so moving for us to see the bride and groom get emotional throughout the entire service. This commitment meant so very much to them and they embraced it whole-heartedly. What great moments for us to capture. It is those moments that make us truly “love” what we do. Formal photographs took place after the ceremony at a quiet garden and at strathmere. Two very peaceful, rustic, and enchanted locations. The dinner and reception highlighted all of Amanda and Alain’s love, devotion, and uniqueness. 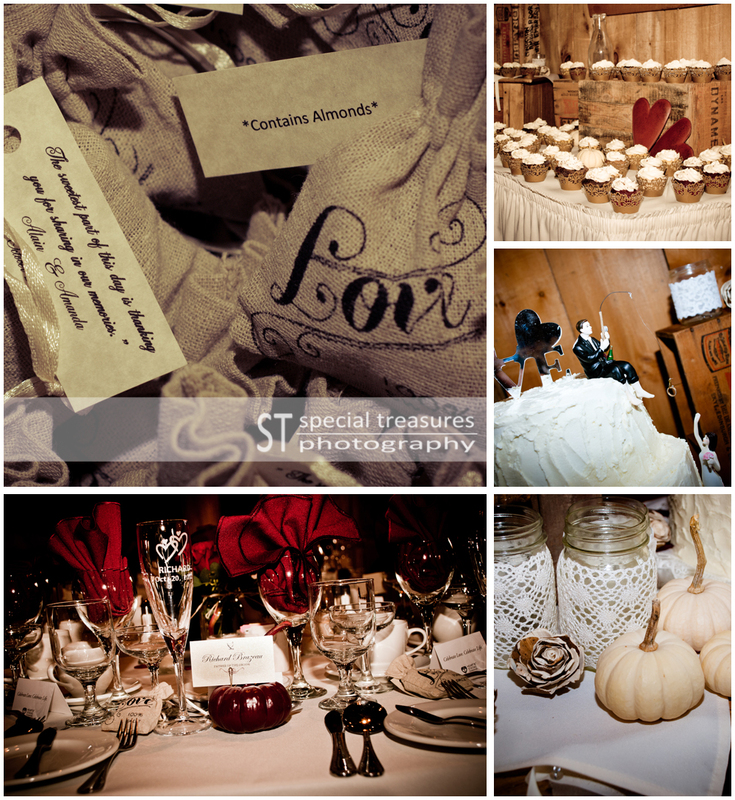 The rustic details were coordinated perfectly and the planning clearly had paid off. We loved the little burgundy pumpkin place settings. And we loved the fishing cake topper. And we loved the rustic venue. And we loved the wishing tree…..need I say more….we loved all of the details, they were so right for the couple. Throughout dinner the speeches were full of good wishes and cheers, however, they were also full of friendship and admiration for this couple. Everyone who spoke remarked on how one or both the bride and groom were selfless individuals who were always giving so much of themselves. It was wonderfully received by the bride and groom and you could tell they were so grateful for the words of their family and friends. The bride’s brother was the M.C. of the evening and he provided both comic relief and some very heart-felt moments. The dancing begin at dinner and did not end untill long after we left. 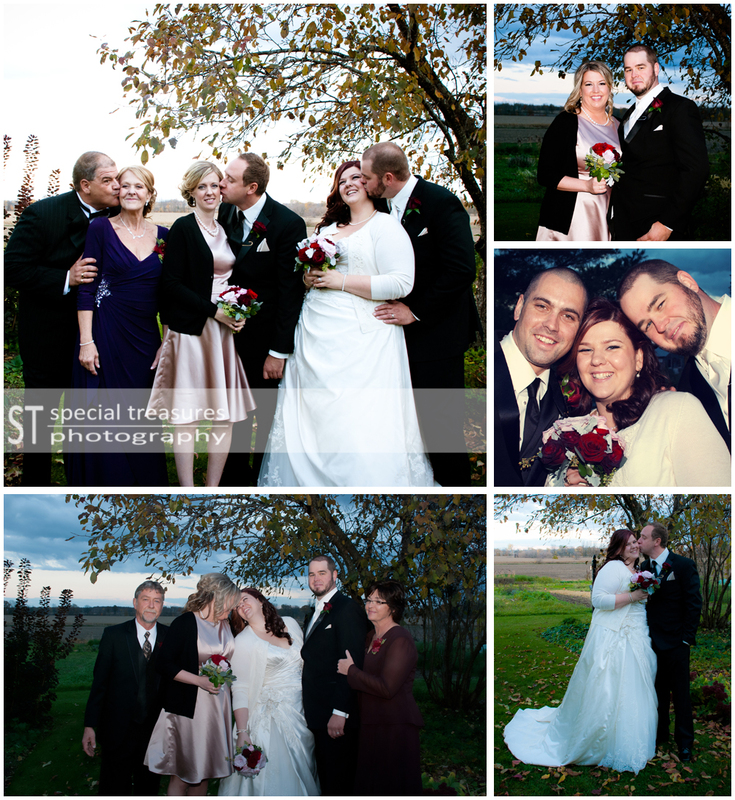 It was a very fun wedding and at the same time it was a very intimate and emotional day. 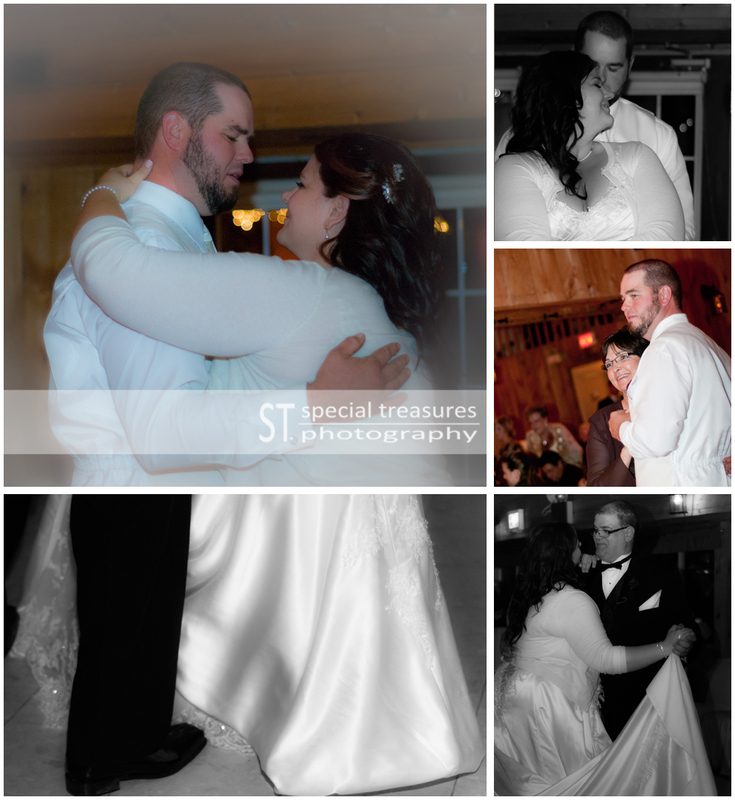 There was the first dance…. the first dance that was a pre-recorded song sang by THE GROOM! UMMMM…. AMAZING!!!!! The best part was that the bride did not know this was coming. And then the father/daughter dance and the mother/son dance unfolded. The entire time these dances took place there was a slide show rolling, courtesy of the groom’s sister. There was not many dry eyes in the room. 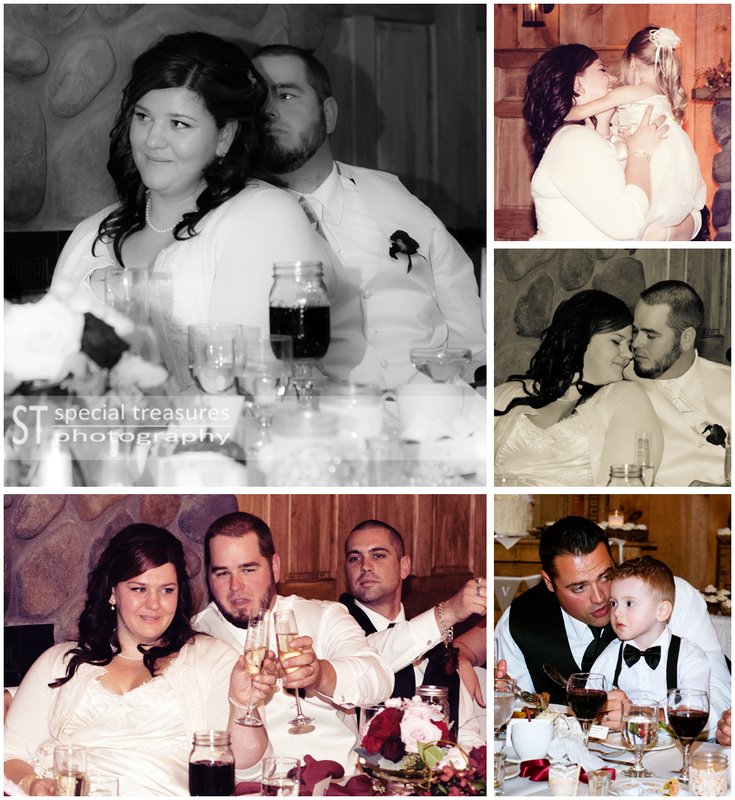 It was just another of many details that magnified what goes on in this couple’s world everyday….so beautiful. 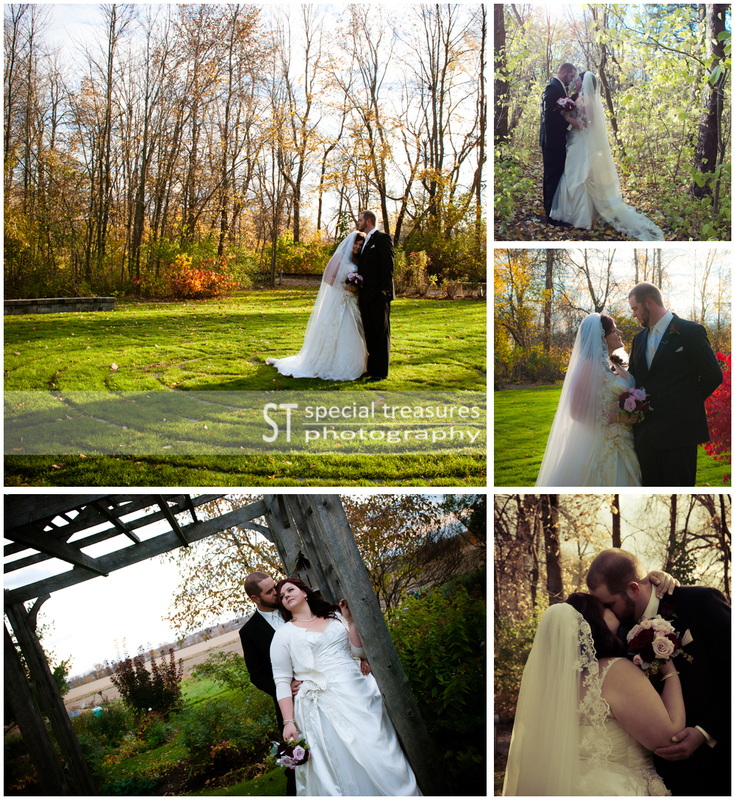 To Amanda and Alain: we were honoured to capture your special day in love. We wish you the best future in life together. 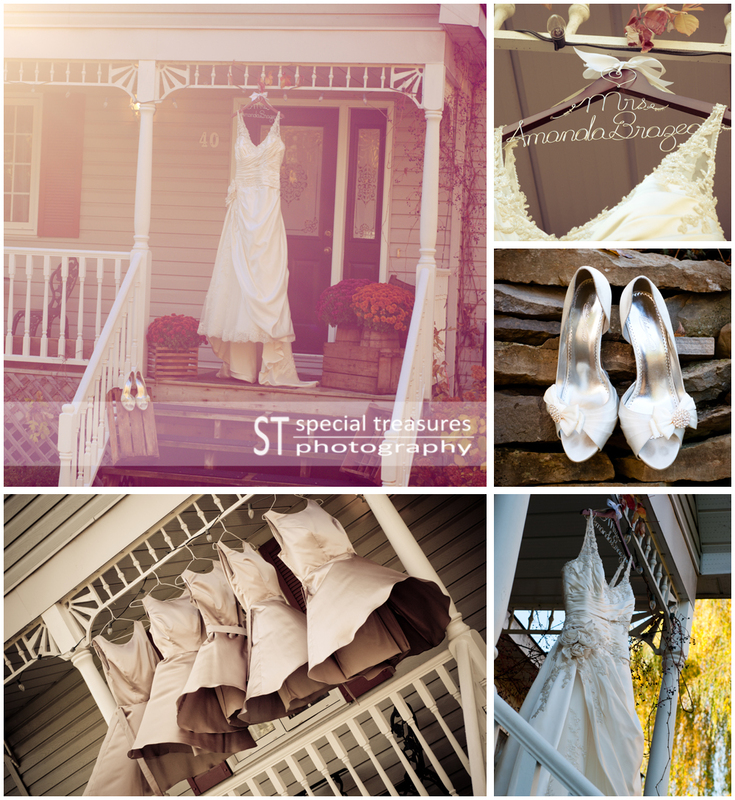 We hope you enjoy the photos and that they always help you remember your wedding day. Congratulations! This wedding was so enchanted! The bride and groom put a lot of thought into how their love would be presented. I can honestly say that after meeting with these two theatre students last year, I would not have expected any less from them. However, it was a true fairytale that unfolded in front of our lens’. The day started off with rain and while I shot the pre-wedding with the men in Eganville, Lisa was with the girls in Pembroke. Unfortunately the rain seemed to follow them everywhere. She was lucky enough to capture some amazing pre-wedding formals of the girls between downpours. The ceremony was moving… to say the least. 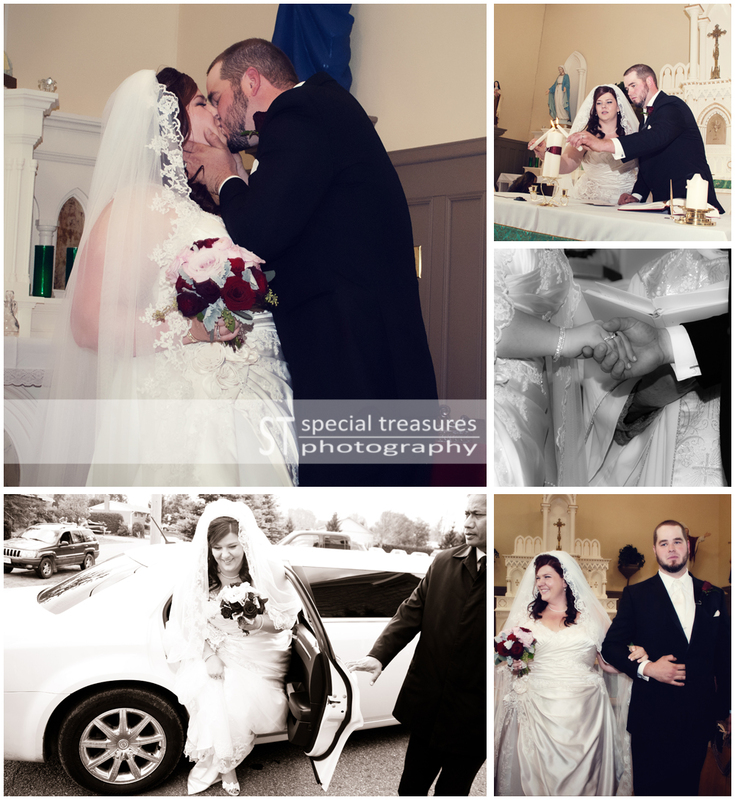 The bride and groom exchanged vows and then SANG “From this Moment” to one another in front of the very full church. It was the most passionate exchange of vows I have ever seen. The father of the bride and a very dear friend (and groomsmen) also sang throughout the ceremony. It wasn’t untill I looked back on the images while editing, that I realized how many people had tears in their eyes, and how many people were completely shocked by this grand expression of love. After the couple was announced as husband and wife, bagpipes lead the couple out of the church. This was a gift from Kelsey to Tavis and it was also very touching. The entire day was filled with so many gestures, too many to mention, that just showed how caring this couple is. They really are perfect for each other. 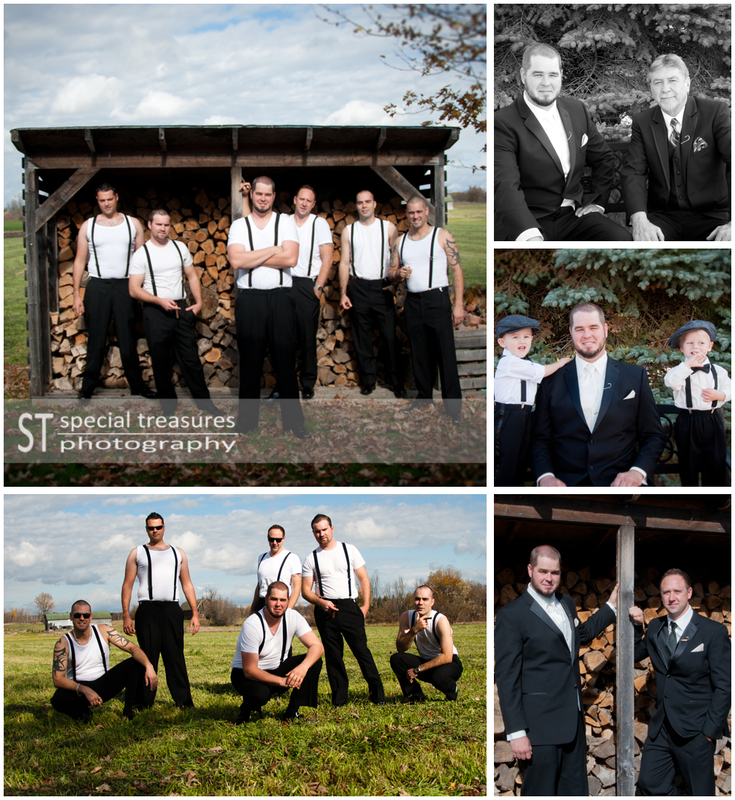 The ceremony was followed with formal pictures near the Bonnechere caves in Eganville and at a very scenic property that belonged to a family friend of the bride. The decor….oh the decor. Every table was titled as the name of a play, the colours were of deep red and purple, the little accents were so theatrical and yet very elegant. The bride and groom gave a CD to all of their guests that had a collection of their favorite music and I must admit, I often listen to it while driving in my car. A friend of the couple had a separate “photobooth”set up and guests could get their pictures taken in costume. IT WAS SUCH A FUN WEDDING! 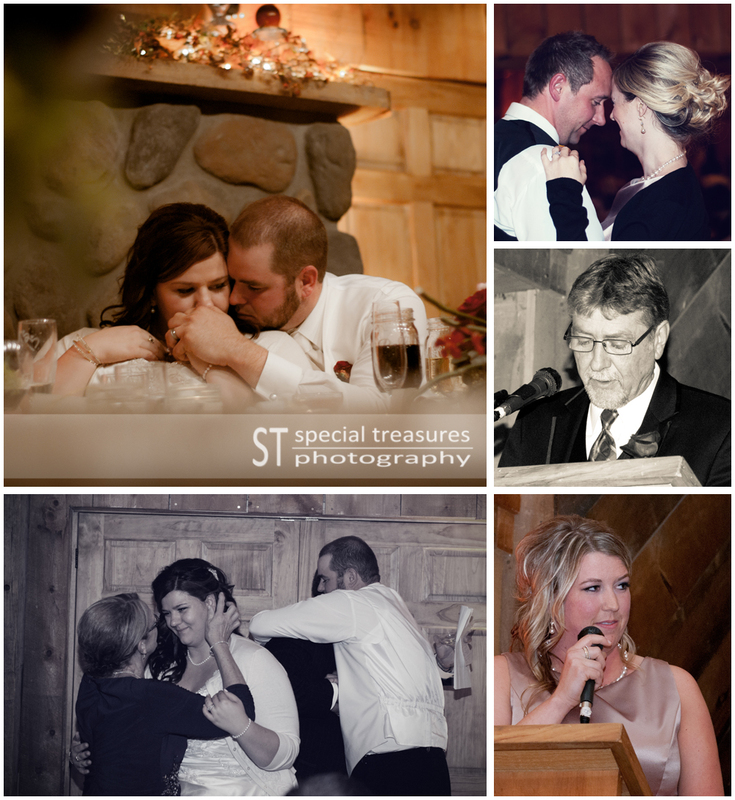 The first dances… oh the first dances. As the bride and groom did a fully choreographed dance to Greases famous “You’re the one that I want” and “A Tale as Old as Time”. And as the entire wedding party started their dance the music stopped and everyone watched as “Thriller” was performed by this group. Truth be told, It felt like we were front row and center at a musical! HOW AMAZING. We wish this couple the life of passion that they so deserve and the best future. To Kelsey and Tavis: thanks for letting us be a part of your day. There was no acting needed to see the true love that was present. But the performances really helped highlight the essence of your love.